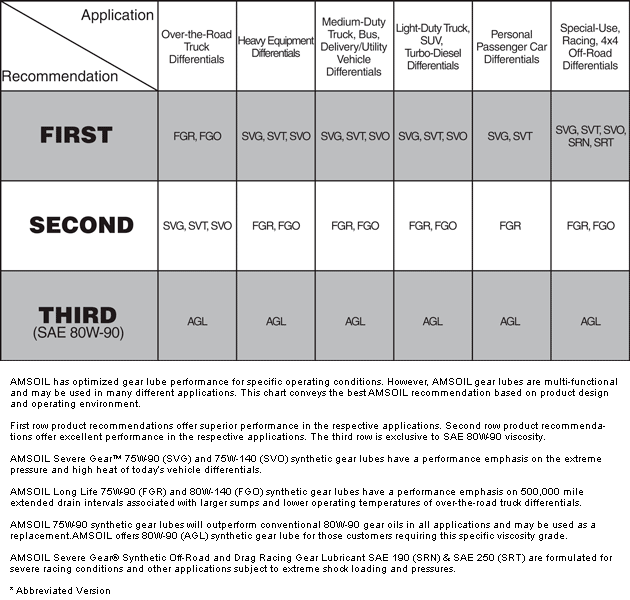 Click here to view the MSDS Data Sheet for AMSOIL OEM. Votes & Reviews: 74 vote(s) and 145 user reviews. I use this product and the 5W30 Signature series in my Azera. This particular viscosity I've only been using for a year in a new car. However, I've been using Amsoil products in everything for probably close to 25 years. My last Jeep Cherokee I bought new and had 268,000 miles before selling it with no engine issues and the previous Jeep closer to 300,000 miles. Same deal, still passing inspection, no engine issues. I also use the compressor oil in 2 large air compressors at work. Both came with there own MFR synthetic oils. After 5 or so years they started seizing on me. I switched to Amsoil and haven't had a problem in either one for close to an additional 6 years now. Nothing but Amsoil. I got a 2014 Fx4 and as soon as I could change to Amsoil I did. I use it in everything I have. A great choice for the DIY'er. Great bang for the buck too! I don't own a lab nor have I ever sent an oil sample out. All I can say is that Amsoil OE has given me trouble free performance in my 2010 Challenger R/T since day one. I think the prices is more than fair for a fully synthetic product as well. My only recommendation is to get yourself a gallon + however many quarts you need for a fill-up to make the oil change go a little more quickly. I actually forgot about my oil change mileage. I light on the dash told me it was time. Oil came out the same color it went in! Had to be around 6,000 miles. Very impressed! Love it! Will only run Amsoil in all my vehicles and OHV toys. Best oil on planet. Even there OE series is better the any other brands full synthetic. I love this oil & all the miscellaneous products such as gas treatments, 4 cycle oil mix, etc. I put this in my wifes honda pilot for over 10 years and almost 200,000 miles. It dosen't burn or use any oil in the 10,000 miles between oil changes. I only use amsoil in my Jeep and my chainsaws, lawnmower. Does a fantastic job in enabling my vehicles to run at their peak perforance. I always use Amsoil in all my vehicles and generators. This OE 5/20 makes my hemi purr. I have to admit that I was surprised that my gas mileage increased by nearly 1 mpg and the engine ran a few degrees cooler at highway speeds. I will never use anything else. I buy all my oil from Amsoil due to the noticable differences in performance. I also use the synthetic bearing grease for the axles on my race trailer and the Amsoil synthetic Dirt series 10-40 for the gear case oil on the race bikes. Amsoil keeps me up and running. Great products! Great product line! I use it in my 2010 Honda Civic. It seems to match the manufacturer recommend service intervals. I switched over to Amsoil soon after I bought this Saturn. It was originally purchased to be a "toad" behind our RV, but has been used by two of our grandchildren for school and baseball tournament duty which has put about 40K more miles on it. The longer it runs on Amsoil, the quieter it gets. I live by Amsoil I run it in everything I own. Provides my 2005 & 2014 Fords great protection. I use this product in 2 cars 1 truck and 3 motorcycles. I have found that Amsoil will extend the life of all your automotive and motorcycles and that means alot to me. Overall this is a great product for a lower price. However the difference in price is worth going up to the XL oil, twice the oil life for only a dollar or so more. I have 3 Fords and they all use Amsoil products. The daily drivers use the OE product and my beloved 1996 modified Mustang runs exclusively on Amsoil's Signature series. Very satisfied. own equipment. I have an 1984 MTD 44" riding mower i've used amsoil in that going on my 3rd season. Oil lasts longer stays cleaner longer. Engine runs smoother and runs cooler. I also consume less fuel than i had in the past with the same mower only changes were clean air filter synthetic oil and E3 diamond fire spark plugs. So far, seems to be a good product! 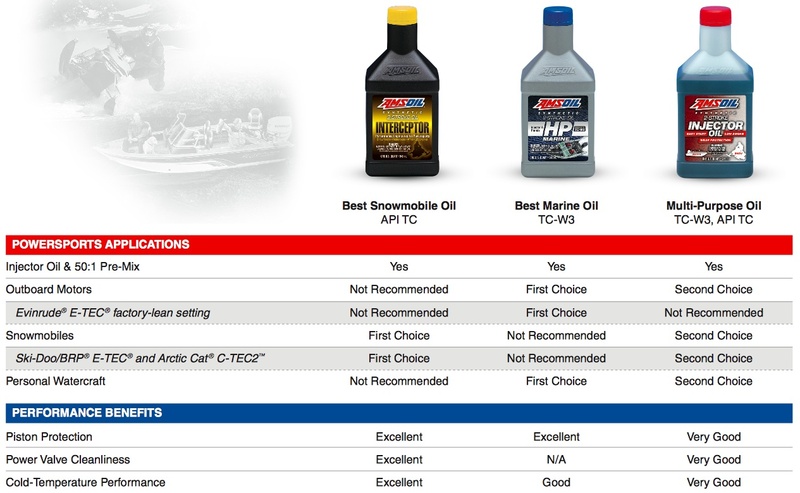 Read the reviews and test comparison 's of Amsoil versus other brands of synthetic oil. 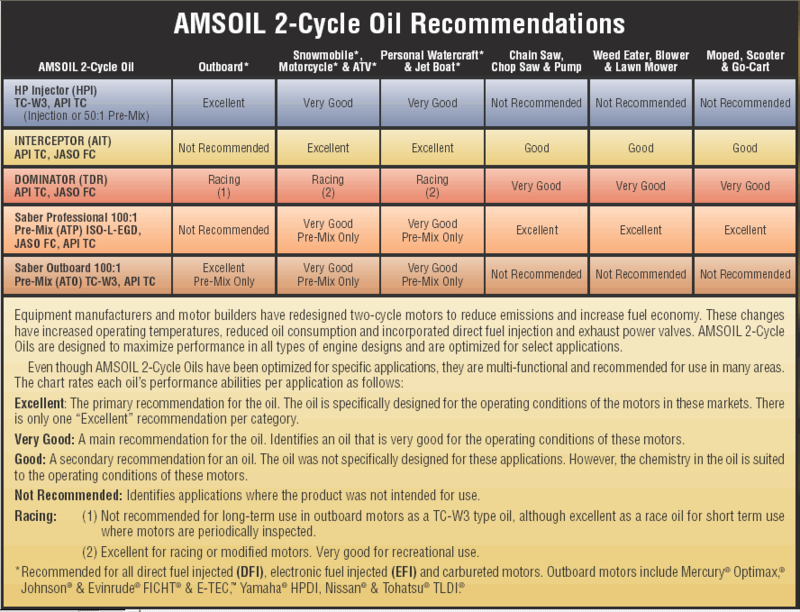 It appears the Amsoil brand out performed the others in most instances and that is what sold me on their product. Bought a ton of 5W20 and put it in my 09 Cherokee Laredo. Smooth driving all the way! I switched from a synthetic blend oil to This OE synthetic. Car runs great, mileage per gallon went up and, now that the temperature has dropped I noticed it seems to start easier. I use it on my ford vehicles. The product and lab reports on it speak for themselves. This is a must product if your vehicle requires it. This is a great product and the price is right. 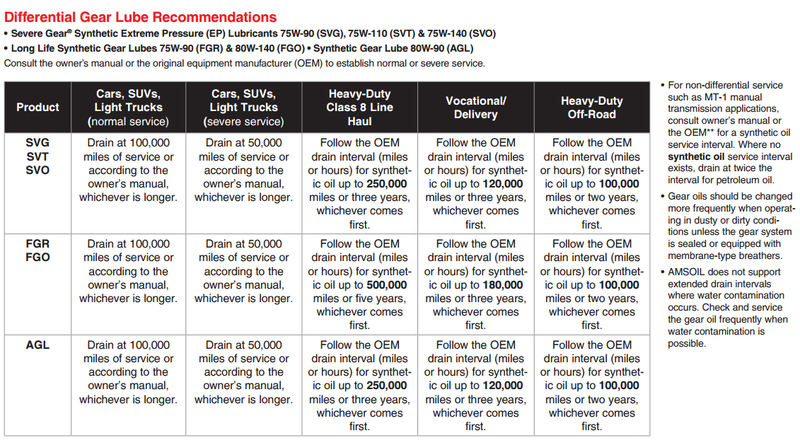 Fully synthetic oil, sometimes what you get is not fully synthetic from other manufacturers, but is labeled as such due to a rating process which I don't fully understand. Regardless, you get what you pay for here and then some. I use this oil in both of our Jeeps and have full confidence in the warranty Amsoil supplies. In our new Jeep. Makes cold starting better. Good stuff.